Denison already owns one leaf from this same source manuscript (in the Fifty Leaves from Medieval Manuscripts portfolio, item 18). Other leaves are owned by Boston University, Columbia University, and the REading (PA) Public Museum. 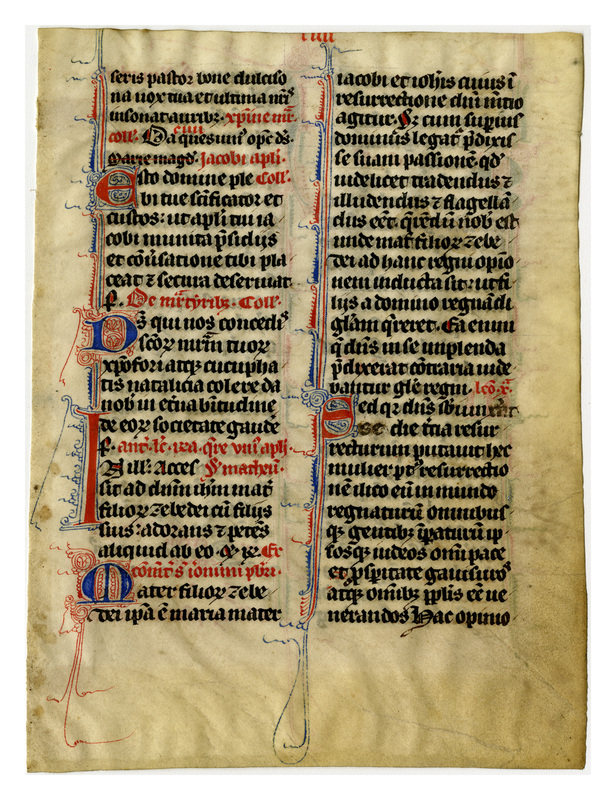 The defining characteristic of these leaves is the alternativing red and blue scrollwork along the left margin of some of the columns, as well as the very dark ink in two sizes-larger for Bible readings and smaller for responses and prayers. 300 dpi, JPEG file; 148x112 mm, written area 112x83 mm. Double column, 27 lines, beginning "-seris pastor bone dulciso-." Loose. 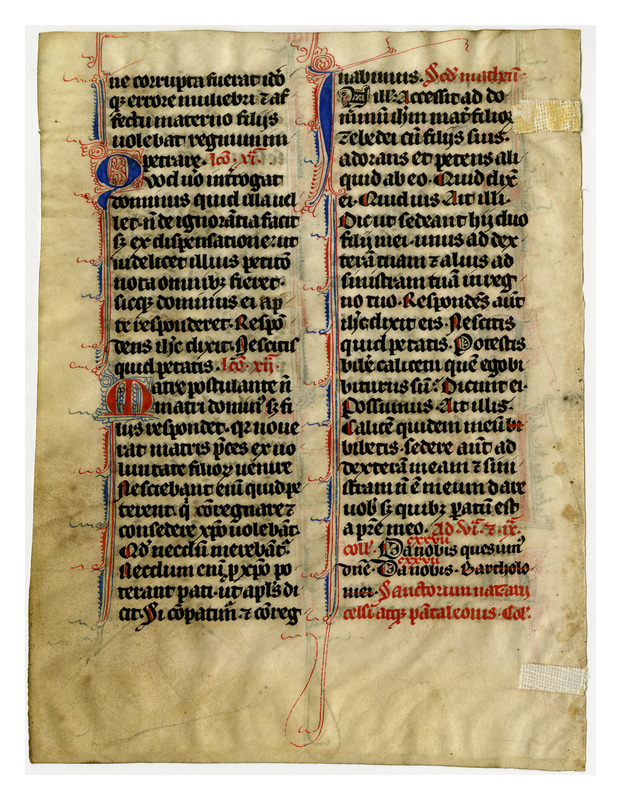 “E0107 Leaf from a Flemish breviary,” Digital Exhibits | Denison University Archives & Special Collections, accessed April 23, 2019, http://exhibits.denisonarchives.org/items/show/12.